ACTIVATE & ENERGIZE YOUR DONOR NETWORKS TO RAISE MONEY. At Fund by Cell, we believe in changing the face of your business, charity, or non-profit via crowdfunding technology. Empower your members, donors and supporters to crowdfund on you behalf. We track all donations raised by your donor network, allowing you to reach out and reward them, if you chose to, with full control over your brand. Our parent company, Give by Cell, is trusted by more than 3000 organizations and has been in the fundraising industry for 7 years. 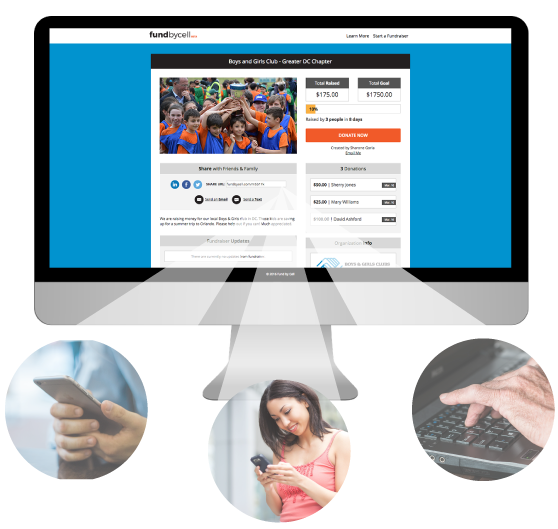 Starting your fundraising campaign is fast, easy, and secure. We can help augment your existing fundraising needs. Our always-on platform does the work for you! 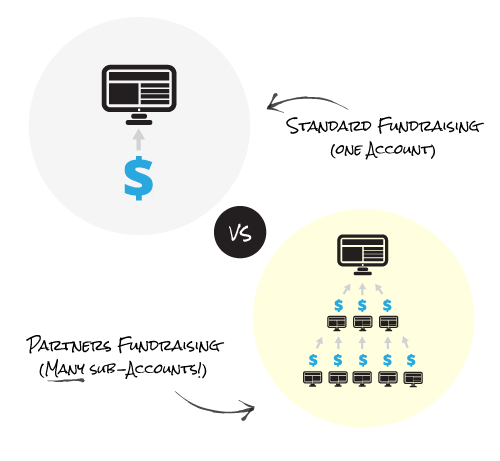 Our platforms afford you the ability to consistently and constantly update your donor network. By us creating 100s of sub-accounts, you benefit from allowing your donors' passion to shine through. Your donor network reaches out to their own network--social sharing increases fundraising exponentially! By setting up the master campaign account for your organization, you control all branding elements. Get out of your own way, and let your donor network reach out to their social circles and do the work for you! All sub-accounts filter up to the master account -- a great way to dramatically increase fundraising efforts. Sub-account creators can track their own efforts, but all funds raised go directly to the master account.